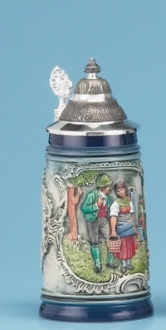 A Folklore drinking scene is the subject of this stein. Raised-relief, handpainted decoration. 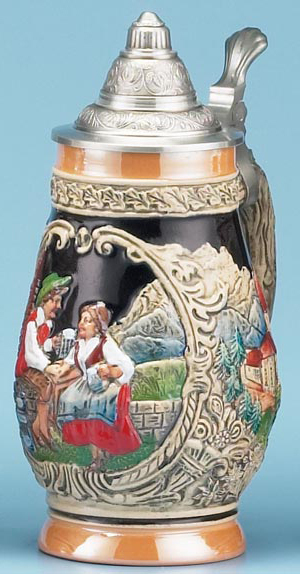 Pewter conical lid.